Out is director Guillermo del Toro, a monster maker of epic proportions. Out is the original Hellboy, Ron Perlman. Out is the PG-13 rating. Now we’ve got an edgier, R-rated brightly red hero in a film that can best be described as tedious. 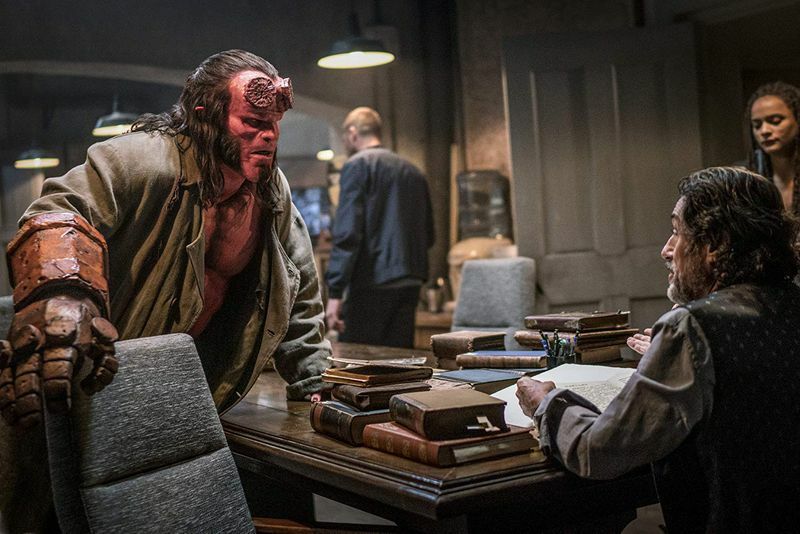 This ‘Hellboy’ stars the always likeable David Harbour of ‘Stranger Things’ in a film even his charm can’t save. It’s really a series of violent vignettes strung together, getting more and more outlandish and introducing characters at such a blistering pace that you just want it to stop already. Casual fans or the uninitiated are in trouble right from the beginning. Andrew Cosby’s screenplay doesn’t unspool a coherent story so much as violently shoehorn in diverse elements from the comics, overstuffing every scene and only then trying to explain why it’s been included. Director Neil Marshall leaves anyone not familiar with this world grasping and gasping. Scenes seem to just end abruptly, as if Marshall was the one trapped in story panels. A fight sequence with three giants is really the only astonishingly realised bit in the whole film. (It looks like a different set of filmmakers made it). The movie starts in 517 AD, then goes to modern-day Mexico, Colorado, London, the English countryside and Siberia. The soundtrack is a bro-fest that includes entries by Motley Crue, Alice Cooper and the songs seem like they were chosen by junior high kids being a little too on the nose, like ‘The Devil You Know’ by X Ambassadors and ‘Beat the Devil’s Tattoo’ by Black Rebel Motorcycle Club . 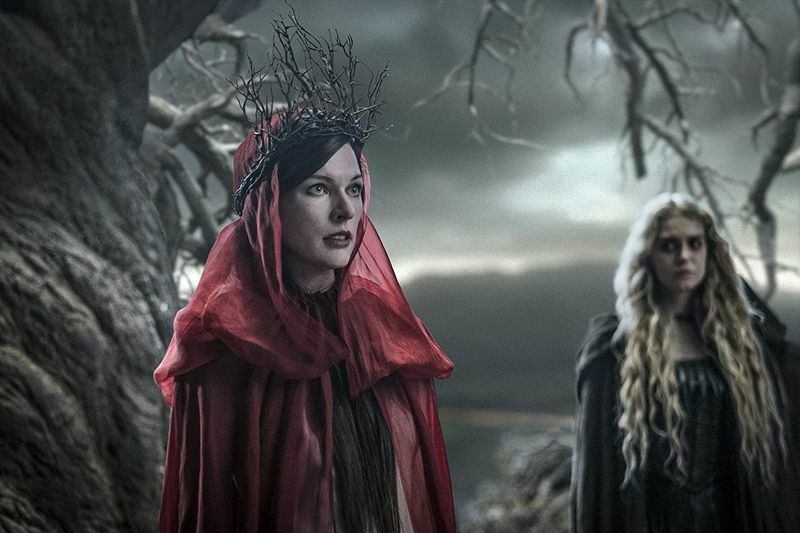 We meet the ancient Russian witch Baba Yaga, the evil, Liverpool-accented porcine monster Gruagach (Stephen Graham), Hellboy’s adoptive father (Ian McShane), the Queen of Blood (Milla Jovovich), the wizard Merlin and King Arthur (no, seriously), a young cool woman with powers named Alice (Sasha Lane), a cool older sorceress (Sophie Okonedo) and a fellow agent-monster played by Daniel Dae Kim with a pretty terrible British accent. 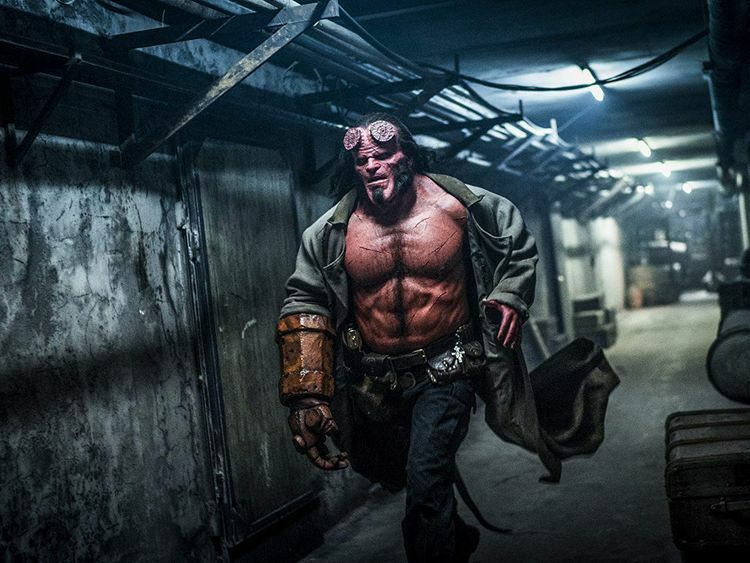 Harbour himself is fine, channelling the blue-collar, resigned here-we-go-again ethos of Hellboy. But his lines seem to fall flat. “Let’s eat some barbeque!” he declares as he attacks the pig monster. It’s sort of funny but somehow in this muddle of a film, it doesn’t land. It’s a pity because underneath all the silliness, there’s a rich vein the film seems to try to mine — whether what you are born determines who you become. “There has to be a world where monsters don’t have to hide in the shadows,” the Queen of Blood says to Hellboy, tempting him to join her side. This makes Hellboy pause, since he’s basically slaughtering his brothers and sisters. “You made me a goddamn weapon,” he screams at dad. That discussion raises a question about the film itself: Maybe the reason it staggers so poorly is because its DNA is all wrong. 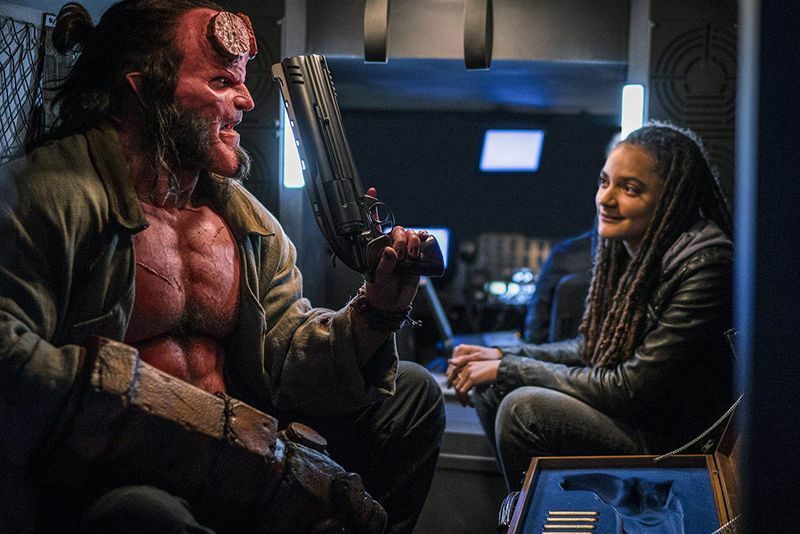 If the first two films lacked a certain verve and the third is a violent muddle, maybe making ‘Hellboy’ movies is as cursed as its hero.